“It’s double dipping to me… it should either be additive or density bonus” — not both. On Tuesday, March 26, 2019, Mayor Pro Tem Christina Shea brought a motion to close the loophole that enabled developers to “double dip” on additive and density bonus incentives. 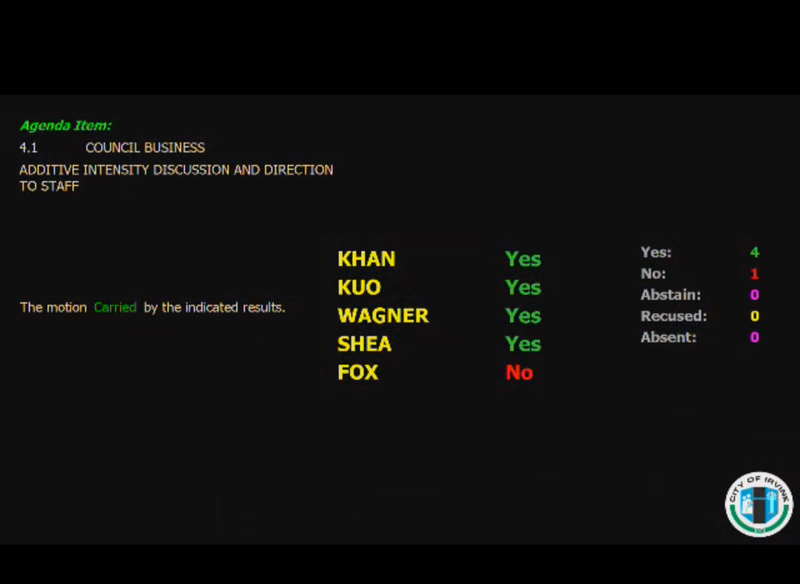 Councilmember Farrah Khan seconded the motion. Though this did not stop FivePoint/Heritage Fields’ request for the 1,056 additional homes at the Great Park, it does stop developers from taking advantage of this loophole in the future. The motion passed 4-1 with Councilmember Melissa Fox opposed.